Suzhou Haixin Equipment Co., Ltd. 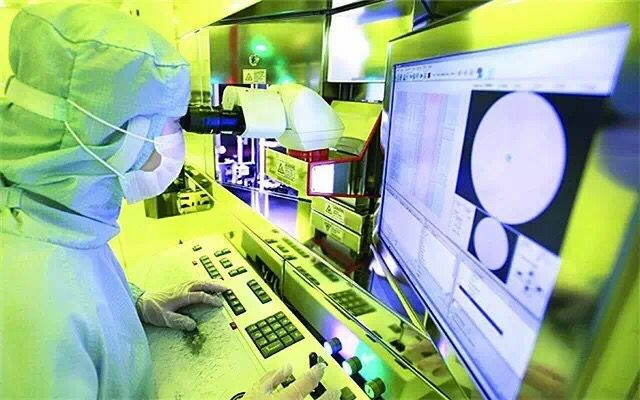 In the semiconductor device production plant, due to the adsorption of dust on the chip, the yield of VLSI will be greatly reduced. Workers in production workshops wear clean work clothes. If the human body is electrostatically charged, dust and dirt are easily adsorbed. If these dust and dirt are brought to the operation site, the quality of the product will be affected, the performance of the product will deteriorate, and the yield will be greatly reduced. . If the radius of the adsorbed dust particles is larger than the line width, the thickness of the film is lower, and the product is most likely to be scrapped. Therefore, it is necessary to establish an electrostatic protection system during the process of production and packaging. The IC package production line has stricter requirements on static electricity. In order to ensure the normal operation of the production line, the anti-static building materials are completely renovated in their clean workshops, and all personnel working in and out of clean workshops are equipped with anti-static clothing and other hardware measures. The packaging companies can comply with relevant national standards and the actual conditions of the company. Develop company standards or specific requirements for anti-static protection to meet the normal operation of packaging production lines. 2, ion air nozzles: it is a fixed product, small size, does not occupy the place, it is more suitable for the assembly line or part of the space of the narrow station. Can also be made foot and induction. In addition to the above products, an ion blower is also required on some assembly lines and operating stations to reduce the accumulation of static electricity and prevent products from being punctured. Can choose to use our suspension or bench-top ion blower, which has a large area for eliminating electricity and does not occupy working space. It can be selected according to the size of the table or the width of the assembly line. KESD Technology Co., Ltd. is a professional supplier of industrial anti-static overall solutions, specializing in R&D and production of ion blowers, ion air guns, ion bars and other types of static eliminators and various electrostatic testing equipment and equipment. The professional manufacturer of dust chamber consumables strives to create an electrostatic-free workshop for you!